Most people can agree that 2016 was a hard year. 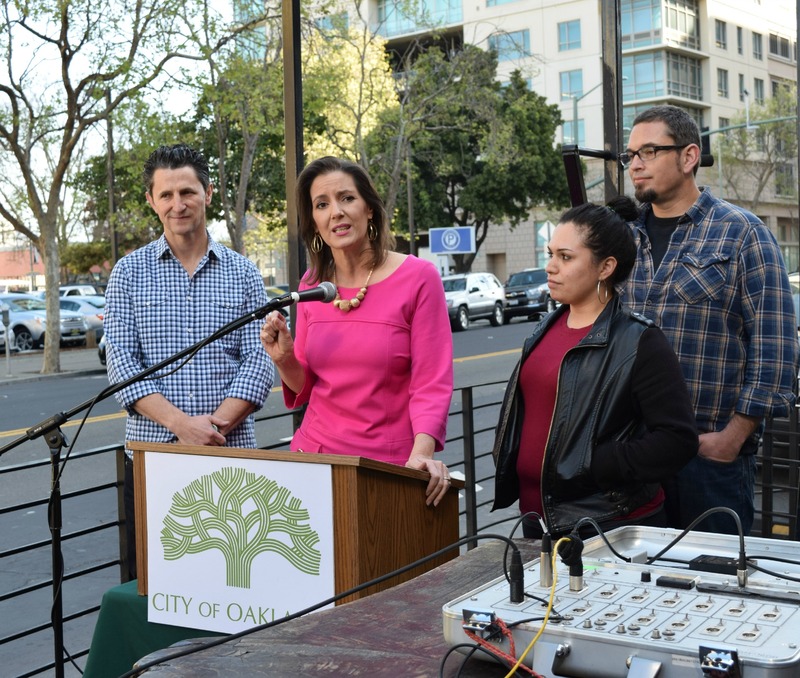 And in the Bay Area, one group was hit particularly hard: restaurateurs. 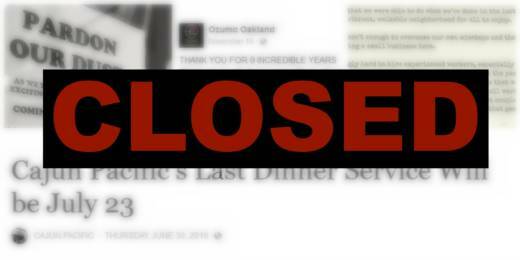 It seemed like every week, a beloved eatery closed, while another one opened, only to shut down a few months later. As the Bay Area continues to enjoy tech-fueled economic growth, the restaurant industry has suffered, even as the accolades--in 2015 Bon Appetit named San Francisco the country’s best food city!--continue to pile up. Everything is expensive: while SF commercial rents have relaxed slightly, the're still astronomical, forcing chefs to look beyond San Francisco and into the East Bay. The increase in housing prices over the last few years has caused restaurant employees to work farther and farther from their jobs, leading to unsustainable, multiple hour commutes. And on top of all that, food prices continue to rise. The result of all this? In 2017, the restaurants you go to--from the hole-in-the wall joint near your office to the fancy, anniversary dinner spot--will look different. They might be closed one day a week, to make up for their shortage of qualified staff. Your go-to dish might be more expensive, to make up for the rising minimum wage. They might be closed for good, and quickly replaced with an EDM bubble tea shop. Here are a few of the issues that the industry grappled with in 2016, and how they’re planning for 2017. This year, Bay Area restaurants contended with the question of how much their workers should make. There were visible struggles, like Oakland’s Fight For $15 protests, where fast food workers joined with child care workers and airport employees to agitate for higher wages. Then there were the less visible discussions about pay, with restaurants still reeling from Oakland’s minimum wage hike in 2015, when it jumped from $9/hr to $12.25. (This year, it rose to $12.55) Most restaurateurs support fair pay for their workers. But the sudden jump--unlike graduated increases, like San Francisco’s, which will raise to $15 by 2018--caused restaurants to scramble, as they tried to scrounge up the money to cover the higher labor costs. 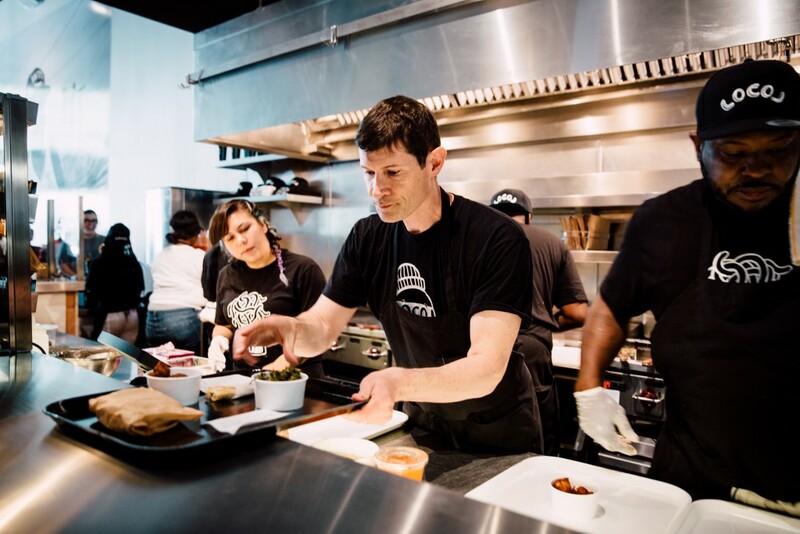 Just this month, Nelson German, the chef behind Oakland seafood restaurant alaMar announced his decision to end the restaurant in it’s current form and reopen it as a casual eatery with counter service. One of the reasons? The minimum wage. When the Semifreddi’s cafe on Claremont closed, they mentioned similar reasons. Uptown sushi restaurant Ozumo cited the higher cost of everything, from rent to labor, as explanation for their recent shuttering. And wages will continue to rise. On January 1, 2017, Oakland’s minimum wage rises to $12.86, and next summer, San Francisco’s minimum wage increases to $14/hr. (Depressingly, the new minimum wages, while obviously a step in the right direction, are still woefully inadequate for the current Bay Area housing market: advocacy group Oakland Rising recently tweeted that “A minimum wage worker would need to work 130 hours a week to afford median rent in Oakland”). One of the biggest problems currently facing the Bay Area restaurant industry is a lack of qualified staff. Part of the reason is the sheer amount of restaurants in the area, leading to stiff competition for business and skilled staff members. (In an interview with the New York Times, Delfina co-owner Craig Stoll admitted to posting Craigslist ads featuring pictures of dramatic butchery and pretty waitresses to attract employees). But the core issue is an untenable cost of living. 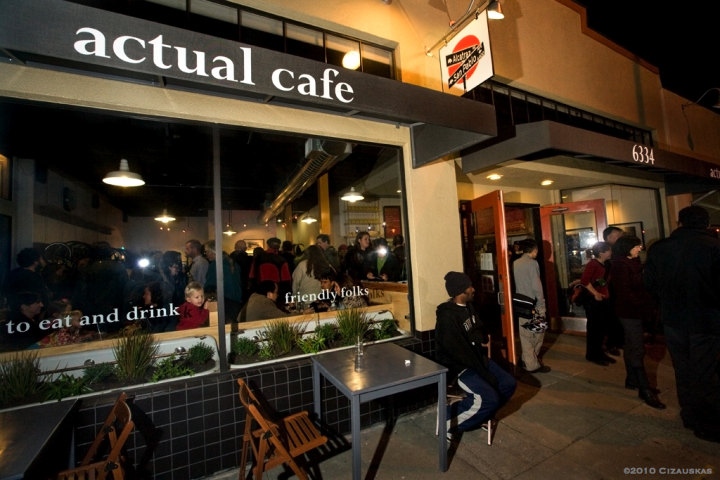 It’s simply too expensive for someone to survive in the Bay Area on a sous chef, dishwasher or server salary--an issue that contributed to Oakland’s Actual Cafe and Victory Burger recent closures. Some workers stay, commuting into San Francisco from cheaper cities like Concord or Hercules, falling asleep in their chef’s whites on the two-hour, late-night bus ride back. Some defect to startups looking for people to make their catered lunches, and who could blame them: a steady, 9-5 food service position (with benefits!) that pays twice as much as their last restaurant job? Restaurants have always had to grapple with razor-thin profit margins. But now, they’re having to think like labor activists: how do you create conditions that allow your employees to survive? (Lazy Bear even flirted with the idea of subsidized employee housing). Many think that the city should do more, anything, to make things easier--to ease up on permit fees (a SF liquor license costs around $300,000) or increase affordable housing--but progress is slow. Chris Pastena, who owns Chop Bar, Lungomare and Calavera, is Oakland’s largest private restaurant employer. But he recently told Hoodline that he’s not going to open any new restaurants until the city does more to encourage small businesses. As restaurant owners see their friends and colleagues fail, they’re less likely to take risks. That’s especially true if there are investors involved, people used to quick returns on their investment. That leads to an emphasis on the familiar, the proven success: another Burmese restaurant, another ramen joint, another Tony Gemignani pizza place. Sure, there have been plenty of new, innovative 2016 openings, places like LocoL or The Perennial. And there will be plenty of those next year, too. But you’ll also see things like an outpost of pricey sushi spot Nobu and an extension of salad chain Tender Greens. The corporations behind these chains know that the Bay Area is a market full of newly wealthy food obsessives, and unlike local restaurants, they can afford the city’s litany of expensive fees and permits. Many restaurant owners see fast casual restaurants, instead of ones with full table service, as the solution to their economic woes. No table service cuts down on labor costs, offers diners a cheaper experience while shorter menus means a more efficient use of expensive labor. Earlier this year, Souvla owner Charles Bililies attributed part of his success to the restaurant's ability to produce a huge volume of orders, thanks to their streamlined menu and collaborations with delivery apps and catering. 2017 will see more and more restaurants with this type of fast casual experience, from The Kebabery in Oakland to RT Rotisserie in Hayes Valley.